It’s been a long and chilly winter in many places, but not on our Caribbean islands! On Bonaire, for example, it’s a balmy 85 degrees today – the perfect weather for a day in the water! 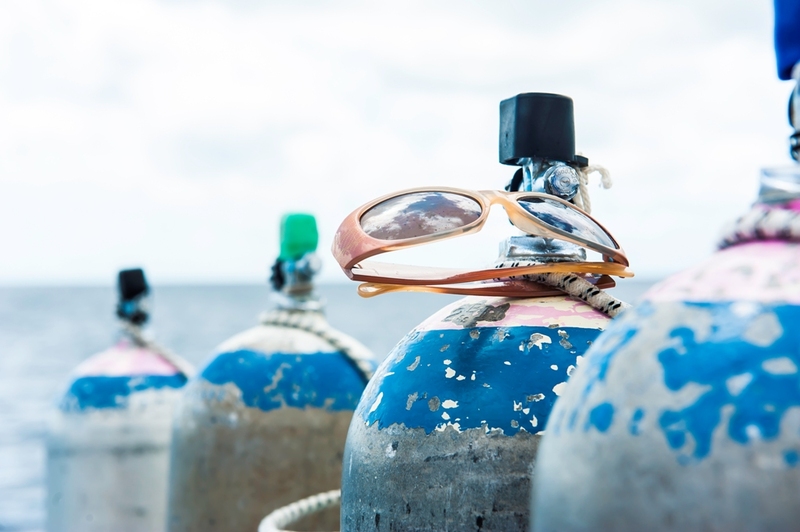 In our opinion, one of the best ways to shake off the cold weather blues is to join us on an underwater adventure. That’s why we want to invite you out to sea with Divi Dive Bonaire, our own PADI 5-star dive center at Divi Flamingo Beach Resort & Casino. Our Divi Dive team welcomes divers of all experience levels and offers various scuba diving courses and certifications to get you ready to explore the ocean depths. Of course, our team focuses on one of the most important rules for diving: to be well informed about safe diving practices before you head into the water. That’s why our team would like to share some dive tips from the Divers Alert Network with you, so that you can be better prepared for your underwater exploration! Streamline your equipment. Stash accessories in pockets or leave them behind. Reduce the lengths of your hoses where you can and route them close to your body. Clip in your console and your octopus. Choose a BC sized properly for your body and for the buoyancy you need; too much causes excess drag. Drop weight. The less weight you carry, the less air you have to put into your BC to maintain buoyancy, so the less bulk you have to drag through the water. You use more air dragging more bulk around. Most divers can drop two pounds or so. Get neutral. And get trimmed properly, so that when you’re neutral, you’re horizontal. That minimizes the size of the “hole” you have to make in the water when you swim. Move slowly. Water resistance increases exponentially with speed. Swimming twice as fast requires four times as much energy. All your movements should be in slow motion. Kick within your slipstream. Keep your fins within that “hole” in the water made by your body. Wider kicks increase drag. Use efficient fins. Some deliver more thrust for a given effort than others, especially split fins. See ScubaLab tests in our Gear section for details. Don’t skim the bottom. Both the bottom and the surface cause turbulence that robs energy if you swim within a few feet of them. Make long surface swims on your back. And breathe surface air: It’s free. Pause after inhaling. Under water, your breathing pattern should be inhale, pause, exhale, inhale, pause, exhale. The pause (held with your chest muscles, not by closing your throat) allows more gas transfer to take place in your lungs and less oxygen to be wasted. Breathe slowly. Friction between the incoming air and your mouth, throat, lungs, etc. increases exponentially with speed. More friction means more energy expended for less air actually arriving in your lungs. Move the air slowly. Breathe deeply. The more complete each breath is, the fewer of them you have to take. Breathe “from the diaphragm,” trying to completely fill and completely empty your lungs. Use a high-performance regulator. Better regulators minimize the work of breathing. They minimize the amount of air you burn just getting air. Maintain your regulator. They lose performance and increase work of breathing with use and age, and need regular maintenance. Readjust your regulator. On many regulators, the purpose of the adjustment knob is not merely to prevent free-flowing on the surface. It’s also to minimize work of breathing at depth. Periodically during your dive, open the valve until the regulator just begins to bubble, then back up on the adjustment a bit. Stop all leaks. Lots of little bubbles add up. Usual suspects: tank O-ring, BC inflators, console swivels. Manage currents wisely. Learn how to detect, avoid and cope efficiently with adverse currents. Want more tips from the Divers Alert Network? Visit www.diversalertnetwork.org for more information and articles about diving safety. Then come see us at Divi Dive Bonaire for your training and certification; we’ll have you ready to discover the underwater world in no time! Useful tips to help new divers, thanks. The best tips I ever got, the only one that worked for me to make a huge improvement, was from this guy. I met him in Cayman, he was captain on my dive boat and over the course of the week he helped me double my bottom time. The tips he gave me I’ve never seen anywhere else, yet they were the ones that worked the best to get me good on my air consumption.